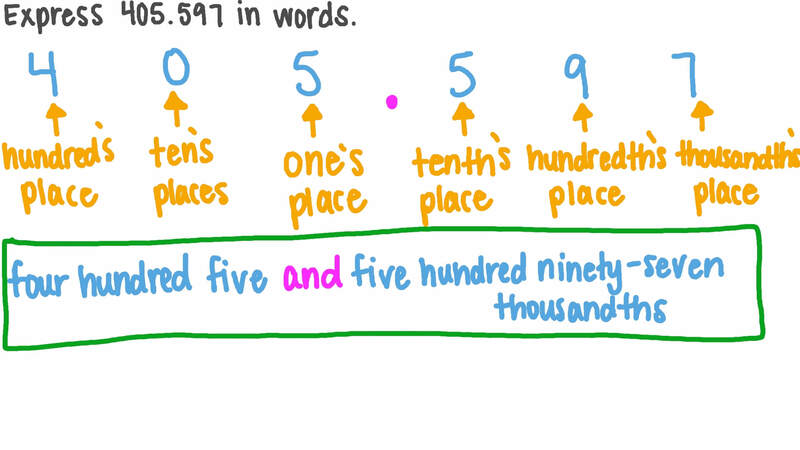 In this lesson, we will learn how to represent decimals in different forms (written, standard, and expanded) using place value. Write the answer in numerals: 4 + 8 + 6 + 7 + 9 t e n t h s h u n d r e d t h s t h o u s a n d t h s t e n s h u n d r e d s .
Write forty-three and one thousand, eight hundred sixty-four ten-thousandths in expanded form. 7 9 . 8 1 = + + + h u n d r e d t h s t e n t h s u n i t s t e n s .
A girl has 57.90 LE, and her sister has 3.90 LE. How much do they have in total? A man needs some cloth to make two shirts. The first shirt needs two and a half meters of cloth and the second shirt needs two and a quarter meters. Given that the man has one metre of cloth already, how much more cloth does he need to buy? 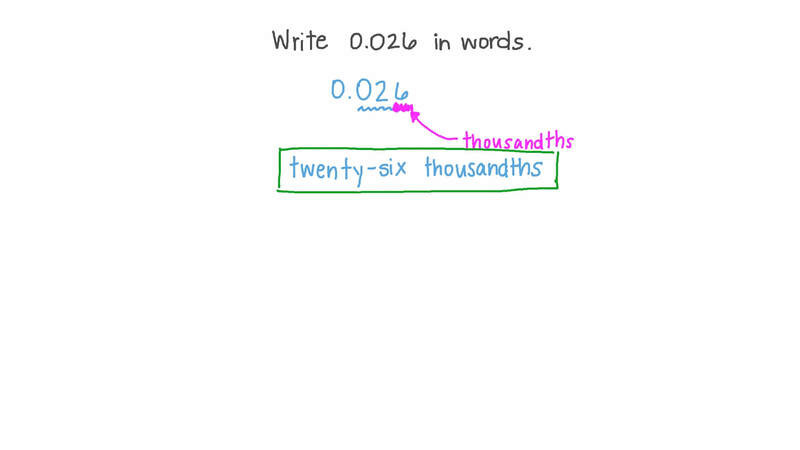 Write seven thousand, five hundred two ten-thousandths in standard form. Express thirty-four and one hundred thirty-six thousandths in standard form. Write seven and seven thousand, twenty-four ten-thousandths in standard form. Express nine tenths in standard form. Express five hundred twelve thousandths in standard form. Amira’s school is four hundred one and two tenths of a mile away from her home. Write the number of miles in standard form. Write ( 7 × 0 . 1 ) + ( 3 × 0 . 0 1 ) + ( 4 × 0 . 0 0 1 ) in word form.